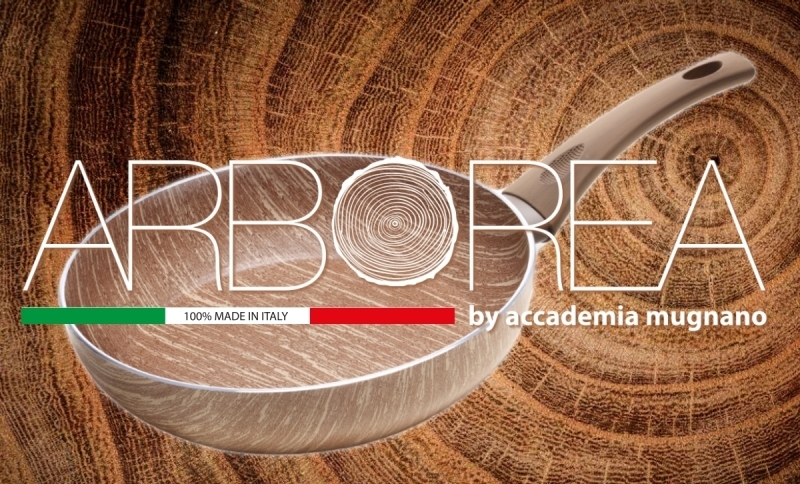 A revolutionary coating planted by Accademia Mugnano – ACCADEMIA MUGNANO S.p.A.
Accademia Mugnano has devised, studied, patented and realized a new technology that allows to create effective cooking instruments inspired by nature. 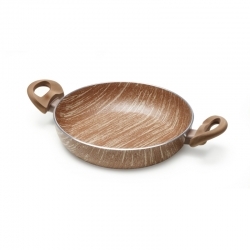 The wormth and the appeal of wood reproduced on our sofisticated cooking instruments which uses an innovcative and planted coating, AM NATURAL WOOD : an incredibly non-stick coating, extremely cut and scratch-resistant for a no oil perfect and healthy cooking low in fat. 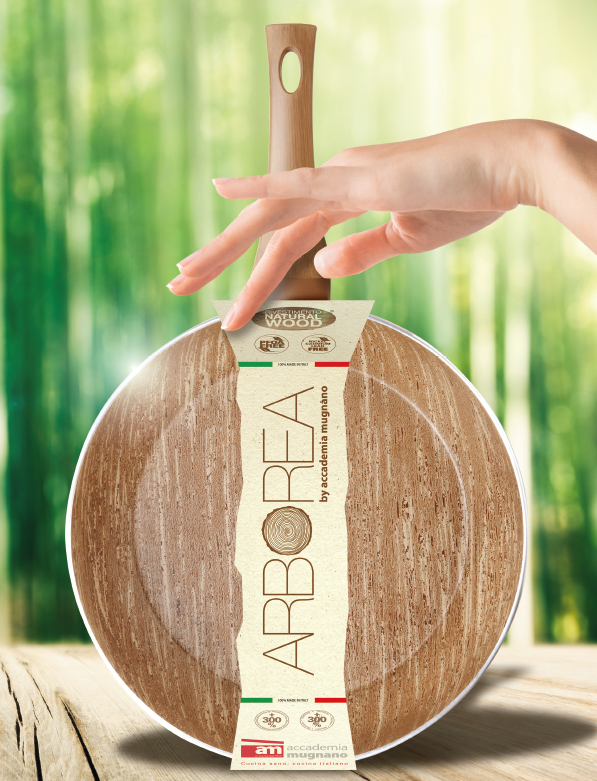 An Environmentally friendly product that comes from the spirit of the great sustainable forests, a product which fits the characteristics of aluminium for a light and healthy cooking able to conjure up and to enhance the natural tastes of food. • Guarantee an exceptional thermal resistance. 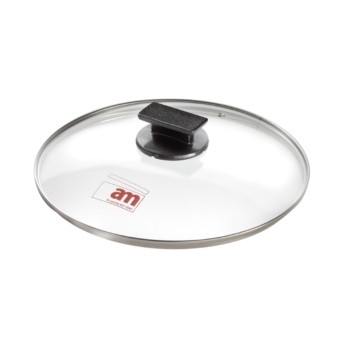 • Ensure a high level of non-stick. • Guarantee an exceptional resistance to scratches, cuts, abrasions and wear. • Provide a strong resistance to the damaging effects of fats and sugars. • Allow an easy cleaning with both loofah sponges and in the dishwasher. Thanks to this particular wooden effect coating and to his low-temperature application processes designed by Accademia Mugnano’s laboratories, AM NATURAL WOOD does not release toxic substances even at superheated conditions. Moreover, reducing the CO2 emissions it makes the cooking process faster and the cleaning one easer with a remarkable save of energy and a reduction of polluting subtances emitted in the environment. 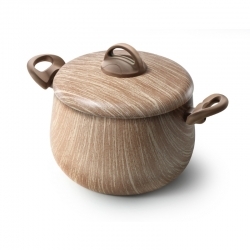 Wooden effect coating: feel the wood vein, a tactile experience without parallel. • An unmistakable and inimitable registered design. • A revolutionary wooden effect planted coating. • Greater capacity: 30% more than the traditional products. • Wooden effect ergonomic and athermal handles for a truly unique design. 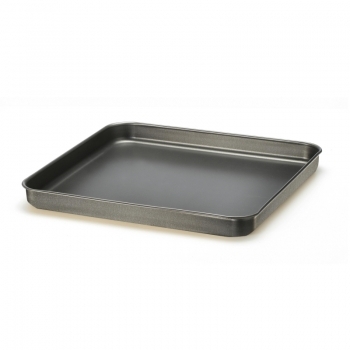 • 99,9 % Pure aluminium body at high thickness, shaped for a perfect heat diffusion and a better cooking of food. • Bottom studied to distribute heat in a uniform manner, allowing the ideal cooking and guarantteing the perfect planarity of the tool. • It heats up rapidly of heat for a minor waste of energy. 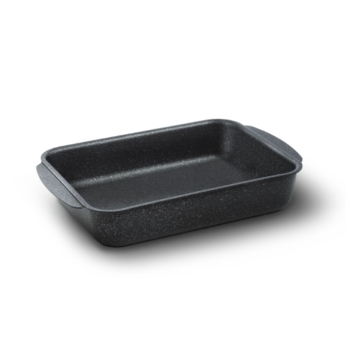 • Ideal for cooking without oil and fats. 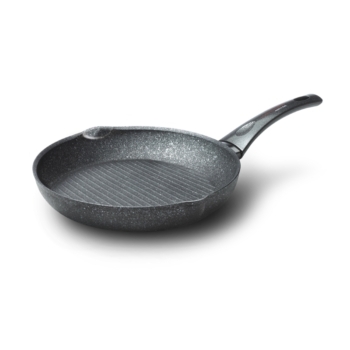 • 300 times more non-stick than a traditional non-stick coating. 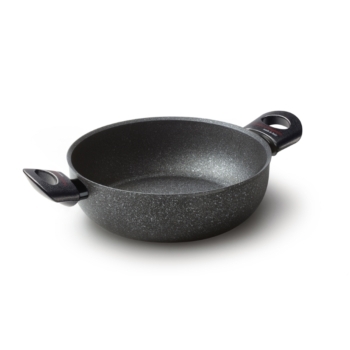 • 300 times more resistant to cuts and scratches than a traditional non-sticking pan. • Strong resistance to the damaging effects of fats and high sugar foods. • Easy to clean even in the dishwasher. • More resistance and long duration: guarantted for 5 years. • Does not contain PFOA, Nickel, Cadmio nor heavy metals. • Tested quality: Accademia Mugnano shall carry out internal controls at regular intervals through prestigious international entities, to assure the absolute food suitability and safety of its nonstick coating.